Is there a particular reason to post this? No. Is there a particular reason to NOT post this? Also no. NEW Game OverThinker Coming WEDNESDAY SEPTEMBER 14TH! 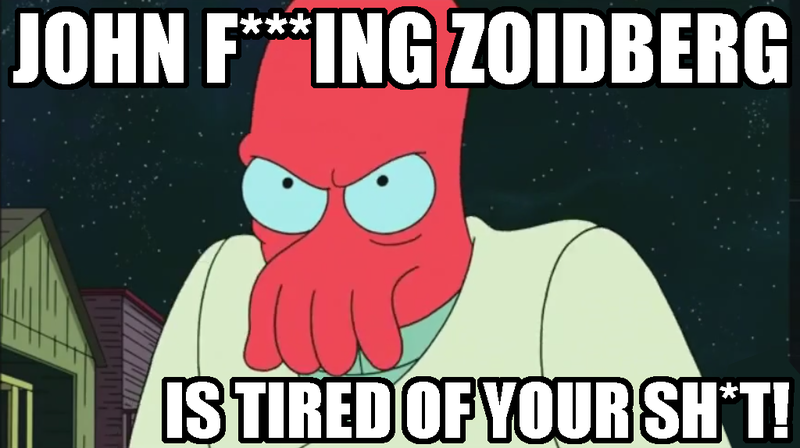 Zoidberg fighting Clamps was one of the highlights of this season for me. I knew it was one of those moment I knew would go down in history. It might just be THE highlight of the show so far for me. The new season has been awesome, especially after the hit-and-miss movies. Groening et al are obviously enjoying their greater creative freedom at comedy central.